Here it is folks. The mother of all press pins. Only a handful of these puppies are known to still be floating around. I’ve used World Series press pins for this post before, but nothing as big as this one. Why is this pin such a big deal? Because 1911 was the first year they issued press pins to members of the media. Baseball fans watched the Philadelphia A’s take on the New York Giants in 1911. The Giants manager, John McGraw, would constantly invite his friends to big games. It wasn’t uncommon for them to crowd-up the press box. Between a local reporter for the Philadelphia Inquirer named Stephen O. Grauley, and A’s manager Connie Mack, the press pin was born. Only those people wearing this pin gained access to the press area. And the rest is all history. Press pins have been part of the World Series ever since. The pin pictured above is from Grauley’s personal collection. In February, Heritage Auctions plans to put it up for sale along with some other press pins Grauley collected over the years. 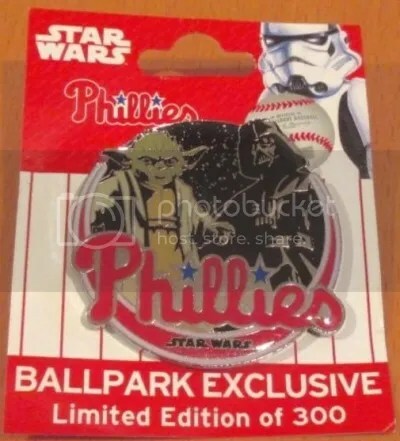 This pin alone is expected to fetch $40,000. For it’s age, I can’t believe how great the condition is. That fabric portion of the pin is a prime target for damage. 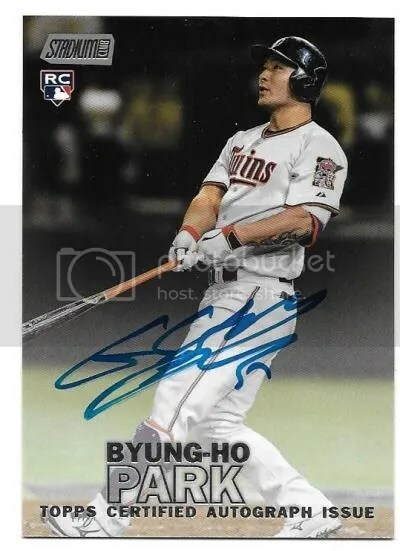 Congrats to Neil on being the lucky winner of the Byung-Ho Park 2016 Topps Stadium Club RC Auto. Once Neil sends me his mailing address, I will ship this card ASAP. Thanks!